More than an autobiography, this is the life of a sailor. Living with the sea evokes a need to write about it, whether in poems, songs or prose. This book records a life spent upon the sea, from junior cadet to captain, and some of the reflections which at lonely times in the ocean's vastness seemed to have sprung from its depth. At first attracted by the escape from grammar school and the lure of visiting places with exotic names and wearing a rakish cap and a jacket with brass buttons, it soon became apparent that the young cadet was no swashbuckler and would take some time to come to terms with the sea. But come to terms with it he did, albeit in a love/hate relationship, in which love ultimately won out. This seafaring story encompassing the mundane and the exotic and relates how this mariner achieved his ultimate goal - being master of his own ship. 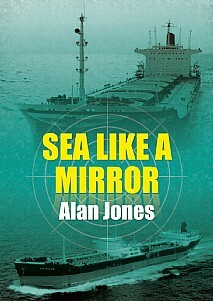 This well-written book will be of great interest to those who enjoy maritime and modern history, ship enthusiasts or anyone simply looking for a good read.